TDE revealed their release schedule for 2016. Will Kendrick Lamar drop a new album this year? 20. 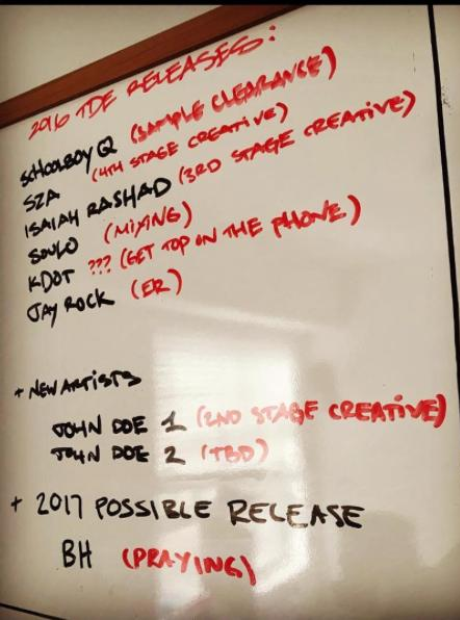 TDE revealed their release schedule for 2016. Will Kendrick Lamar drop a new album this year?